Happy Mother's Day to all mummies out there. 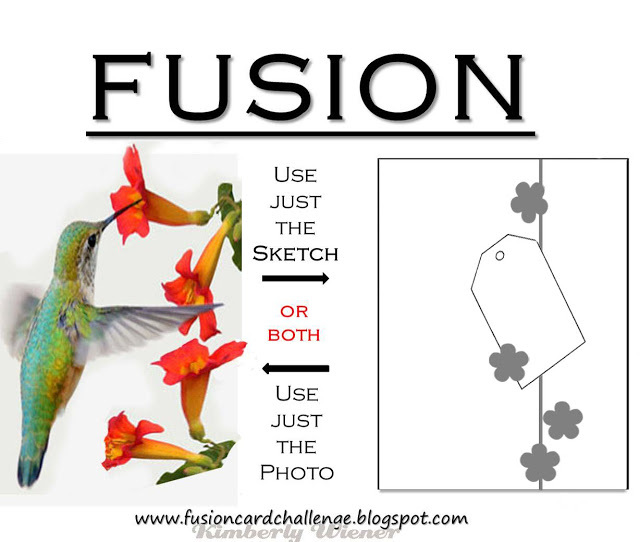 Today I would like to share the card I made for mum's day which was inspired by both the The Card Concept and Fusion Card Challenge. 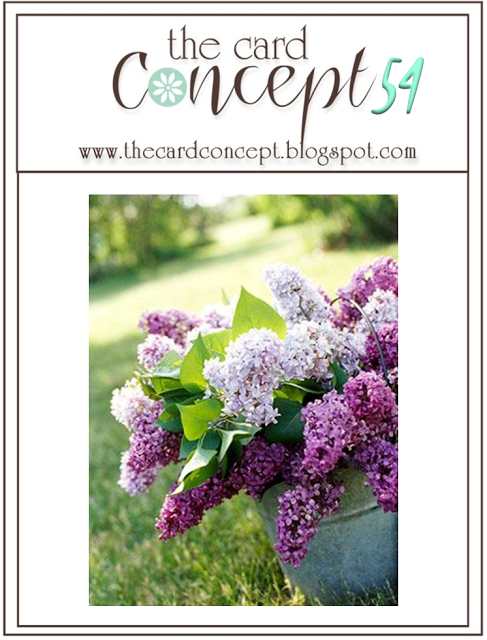 When I saw the current Spring Flowers Challenge at the Card Concept I thought it was time to make another flower based card. 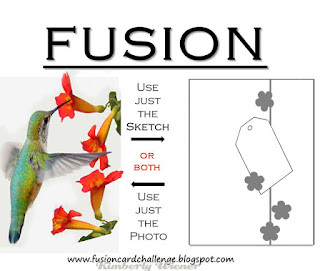 However, I could not decide on what colour to go with until I saw the Sweet Orange Blossom Challenge at Fusion Cards. I loved the fresh orange flowers....so orange it was! I also thought it was time to try out another colouring medium so out came my Faber-Castell Polychromo pencils. I was lucky enough to pick up the full set of 120 quite a few months ago on sale but, I'm afraid to say I have never really used them! This card was a practice run for me. I kept this card very simple with minimal embellishments as I wanted the flowers to have centre stage. The flowers were stamped on a piece of white cardstock using London Fog Ink and then coloured. I then added some clear wink of stella for some shimmer. I generated the sentiment on the computer and printed it out in Grey. I used a flag from MFT die-namics tag builder set to cut out the sentiment. I trimmed this and mounted it to the card using foam tape. I adhered a couple of sequins before mounting the image onto a SSS Fog cardstock card base. Such a beautiful card. Love those beautifully shaded orange flowers. Thanks for joining us at The Chard Concept! Those flowers are gorgeous! You colored them beautifully. I love the cheerful colors. 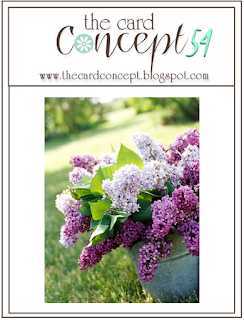 Thank you for joining us at Crafty Gals Corner for our Celebrate Mom challenge. Gorgeous colouring! Thanks for joining us at Fusion! wow, your blending is so subtle and beautiful! Thanks for playing at Fusion! Stunning card with my favourite Altenew flowers. Your design and colours perfection.